“CO-WORKERS HAVE fun with me every once in a while,” says Jackson Mayor Pete Muldoon. “‘Oh, look, the mayor is coming!’ they’ll say. 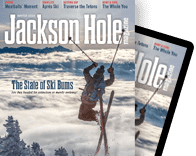 But I don’t get special treatment.” Muldoon isn’t talking about Jackson Town Hall staffers ribbing him, but his SkyWest Airlines co-workers at the Jackson Hole Airport, where he works three or four three-hour shifts per week as a ramp agent. Scheduling a sit-down interview for this article with Muldoon took a couple of weeks because he’s always working. 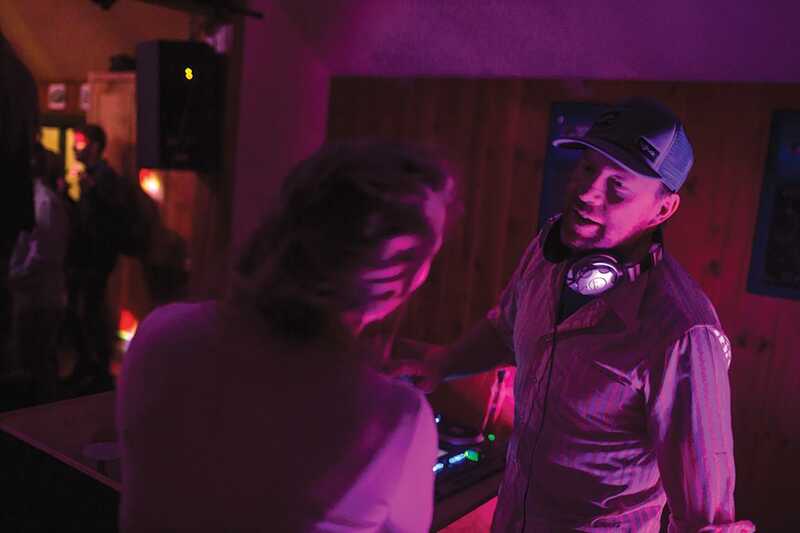 In addition to his SkyWest job, he DJs most Thursday nights at the Stagecoach’s Disco Night and runs Jackson Hole Production Company, which he owns with Jeff Eidemiller. Muldoon is also the singer and/or guitarist and/or keyboardist and/or songwriter for bands including The Deadlocks and Major Zephyr, which has shared the stage with Grammy winners including Steve Earle and Asleep at The Wheel. And then he spends more than forty hours a week on mayoral duties. (“It’s 24-7 really,” Muldoon says.) 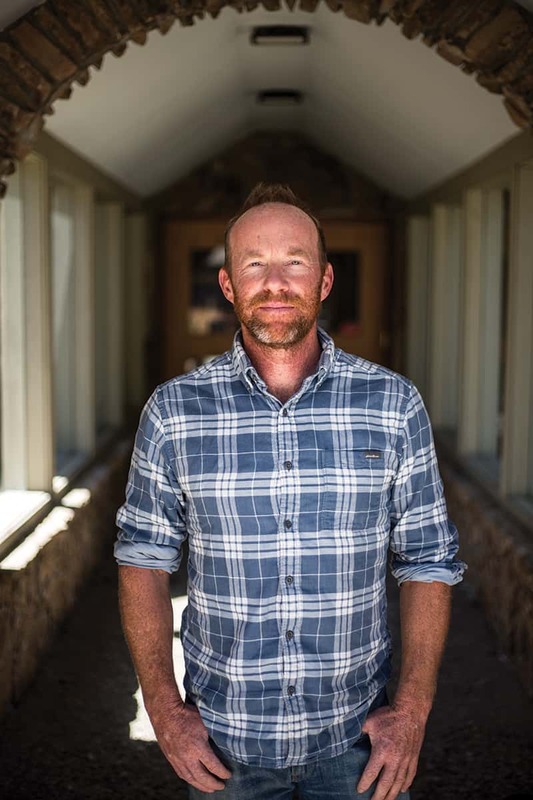 These duties range from researching policies and proposals as diverse, and often complex, as paid parking in downtown and hiring a housing ombudsman, to reading a proclamation at the Wyoming Special Olympics or being stopped by constituents at the grocery story to chat about their opinions on an issue. And meetings. Lots and lots of meetings. He’s not the only mayor to have worked outside the town office, either, although he might be working more jobs concurrently than any of his predecessors. (Muldoon is also the first mayor to be elected since the office’s term was changed from two years to four years. His term started in 2017 and will end in January 2021.) Mayor Sara Flitner (2014–2015) ran Flitner Strategies, a communications firm established long before her election and also worked as a mediator. Mark Barron bought High Country Linen Service with a partner in 1981, became sole owner in 1990, and opened Blue Spruce Cleaners in 1994 and continued to operate both while he served as mayor from 2003 to 2014. (Barron was Jackson’s longest-serving mayor since the 1960s; he was elected for six terms.) Sam Clark (1989–1990) worked at the Jackson office of Mountain West Farm Bureau, an insurance company of which he later became CEO. And Abi Garaman, a mayor for one term in the 1980s, was a nature photographer and business owner. While Muldoon wasn’t a fan of campaigning, he is a fan of the job, which he says he came into with no expectations. “I think it is the kind of job that no matter what you think it will be like, it won’t be. Coming in without expectations left me no surprises.” Muldoon says there is no typical day as mayor, which is one of the things that makes the job interesting to him. But, if there were a typical day, it could look like this: a nine a.m. meeting on rezoning, an eleven a.m. meeting on parking, a lunch meeting on housing, a one p.m. with a county commissioner, an hour of phone calls beginning at two p.m., a joint town/county meeting at three p.m., and after that a Jackson Town Council workshop and meeting that goes until whenever they’re done, which they usually try to be by ten p.m. In early March, he already had fourteen meetings scheduled for April. IT IS THE replacement of portraits of President Trump and Vice President Pence with a portrait of Chief Washakie that Mayor Muldoon is probably best known for; his decision to do this made the national media. The town council eventually overrode him, and the portraits of the president and vice president have been rehung in the Town Hall lobby. However, Muldoon doesn’t spend much time thinking about it. “I think that there is so much that we’re doing to improve the lives of citizens. That is my day-to-day reality, not portraits,” he says. During his first year in office, he and the town council funded Redmond Street Rentals, twenty-six apartments that locals will move into this August; provided in-town summer camping for public employees [see “Van Life,” page 86]; finalized the Budge Landslide remediation project; increased tenant protections; and wrapped up an agreement with Snow King Resort to amend its Base Area Master Plan. The elected officials have also spent significant time working on “Engage 2017,” which Muldoon describes as “a huge project that involves rezoning most of town, updating our parking requirements, updating our housing mitigation, and amending our housing rules and regulations. We’re not done with it yet, but I’m very proud of the work we’ve done so far.” The project is slated for completion this summer. The Town of Jackson’s government is set up so that the mayor is one vote of five in passing legislation. 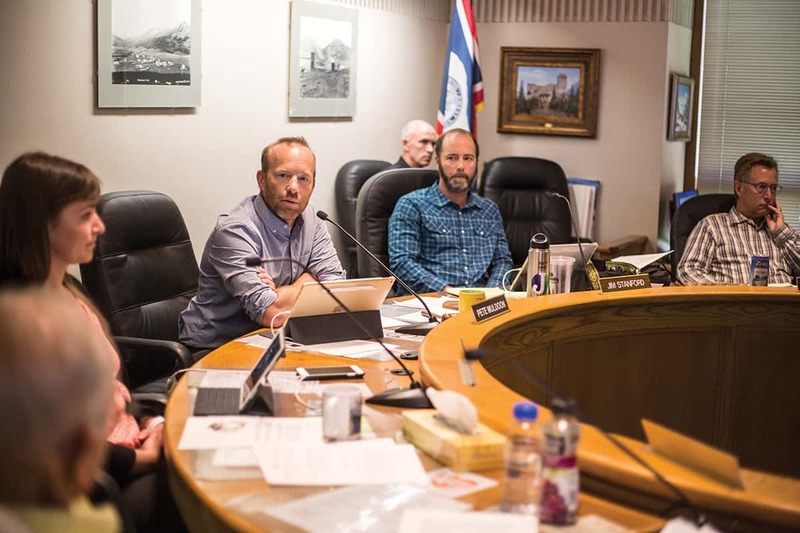 Muldoon leads bimonthly town council meetings (the first and third Mondays of every month) but his vote carries no more weight than those of the four town councilors. Open to the public, these meetings are the only opportunity for the town councilors and Muldoon to have group discussions, and they are one way for Jacksonites to get their opinions on the record. (“We get a lot of emails, too, and we read all of them and often respond to each,” he says.) Discussion, both among the electeds and the public, is often lively. But it is never haphazard. Also, it’s possible Muldoon will have to get up at 4:15 the following morning to work at the airport. 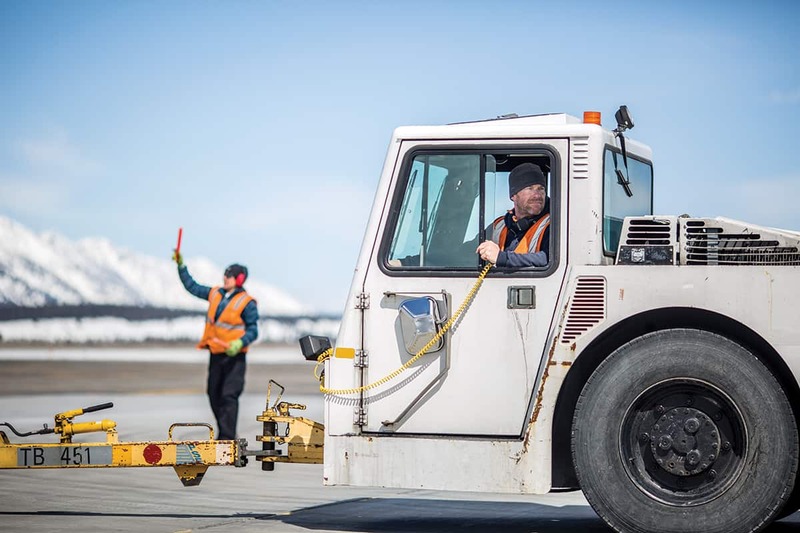 Less than 12 hours after DJing Disco Night at the Stagecoach you can find Mayor Muldoon loading bags and pushing airplanes out to the runway at Jackson Hole Airport. Mayor Pete Muldoon speaks to members of the Jackson Town Council before taking a vote in June 2017 regarding the replacement of portraits of President Trump and Vice President Pence in the Town Hall lobby with a portrait of Shoshone Chief Washakie. The decision to remove the portraits drew national attention. You’ll find the mayor working his late-night hustle at the Stagecoach Bar in Wilson, where he DJs the weekly Disco Night.